The Santa Cruz County Farm Bureau announced that it will again be sponsoring the County Fair’s opening day barbecue to be held on Wednesday, September 14, 2016. The barbecue will start at noon and continue until the food runs out (normally 3:00 p.m.). Watsonville Firefighters Local 1272 will be cooking up a delicious barbecue lunch. On the menu will be barbecue tri-tip, beans, salad, french bread and coffee or lemonade to drink. Cost is $16 for adults, $15 for seniors and $10 for children ages 5-11. Lunch will be served at the fairgrounds at Paddy Smith Park located between the Arts Building and Crosetti Building. 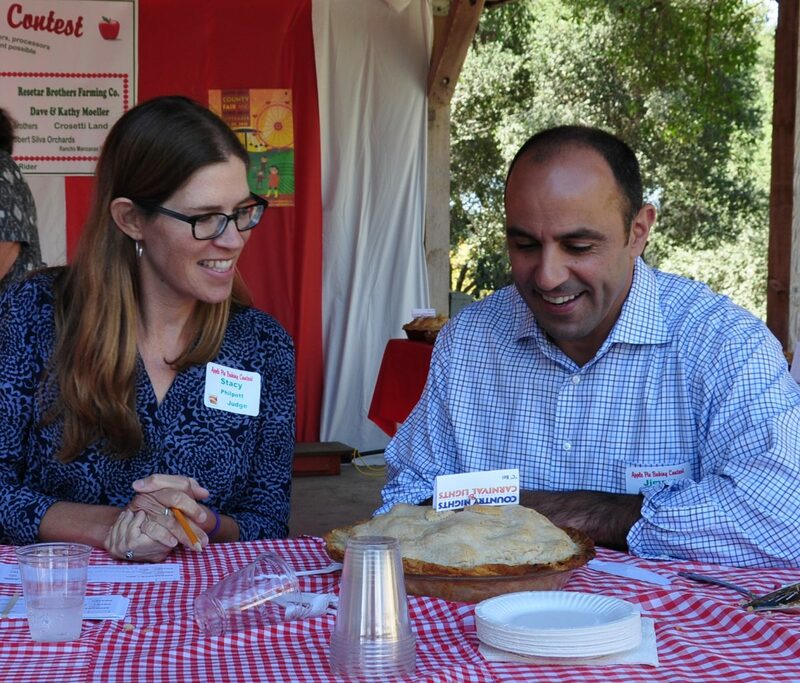 The contest is held on the opening day of the Santa Cruz County Fair (Wednesday, September 14, 2016), and is sponsored by the Pajaro Valley apple growers, shippers and related industries as well as pie lovers throughout Santa Cruz County and the Pajaro Valley. This much anticipated event has been organized by the Santa Cruz County Farm Bureau since 1977. Entry forms can be found in the fair’s premium book located at the Santa Cruz County Fairgrounds Office, 2601 East Lake Ave., Watsonville or online at www.santacruzcountyfair.com and at the Santa Cruz County Farm Bureau, 141 Monte Vista Ave., Watsonville. There is no entry fee for this popular opening day event. First Place $50, Second Place $35, Third Place $25 each division and Best of Show $45 Ribbons will be awarded for 1st, 2nd and 3rd in each division as well as Best of Show. Don’t delay; get your entry form in today!